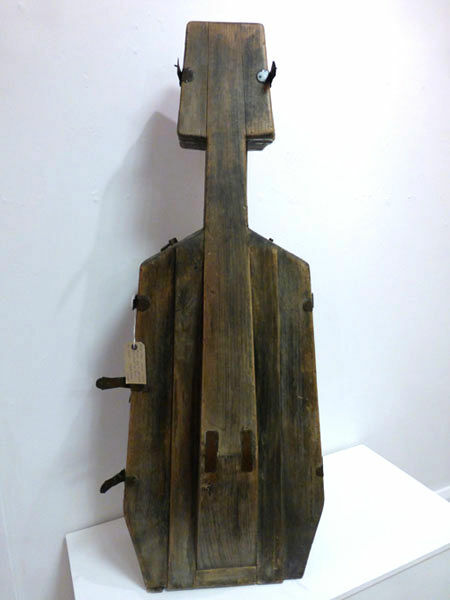 Cello Shipping Case… made in 1942 by a German prisoner of war at a camp near Cairo. Made from scrap munitions boxes and beaten copper hinges, a whole orchestra and its cases were made during their internment. Its is signed, although un-legible.